Are your home movies on a video tape but you can’t watch them because you no longer have a VCR? Your VHS tapes and DVD’s won’t last forever; so don’t risk losing your precious memories! Transfer your home movies to digital today! 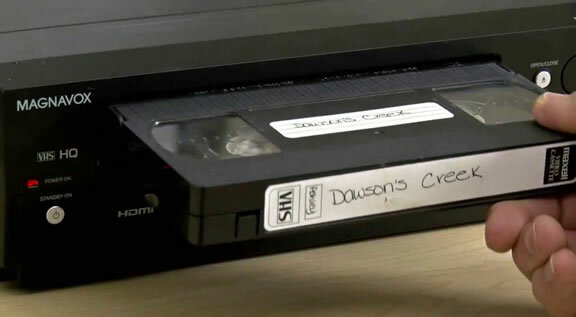 We can convert your old VHS tapes, VHS-C tapes and DVDs for personal use to any video format that suits your portable device. Your VHS tapes will be captured via HDMI to a computer to prevent the loss of picture and audio quality. Competitors often use VHS/DVD recorders or composite cables which result in loss of quality. Transfer VHS tapes, VHS-C tapes and DVDs for personal use to any video format that suits your portable device. Enhance the quality of your old tapes with denoising technology, high definition upscaling and colour repair.